Situated in the far south end of Australia, Gold coast domestic airport is strategically placed to connect you to top tourist attractions. It has undergone multi-million dollar redevelopments to emerge as a reputable domestic airport plying Sydney, Melbourne, Adelaide and New castle routes of Australia. Fly the Air New Zealand or charter flights from the Gold Coast domestic airport. This is the 6th busiest airport in Australia with all kinds of passengers and aircrafts passing through it daily. What are the hours of operation at Gold Coast Domestic airport? The busy airport of the gold coast has online links for making early reservations for your domestic flights. This enables you to note any changes in the morning and night time operations. The airport operates from 4.30 am to the last flight. Flight schedules around the domestic destinations are based on the individual airline schedules. As you wait for your flight, you can shop, eat and relax at the improved, modern halls. What kind of shops are at the airport? From the shops in Gold coast domestic airport, you will find amazing beach items, personal accessories, and top brands. The foreign exchange shop caters for all kinds of currency transactions you need. For cheaper deals, check out the duty free stores. You also have access to a bank facility for your domestic tours. Enjoy Australian coffee, tea and snacks at the airport. You will also find a bar and lounge. If you are using the domestic flights you will find a quality cafeteria at the arrivals. The Gold coast domestic airport is in proximity to hot spots making it easy for you to tour and enjoy the best of Australia. The region has Palm Beach and broad beach attractions. You will also find spectacular landscapes like the lake views. 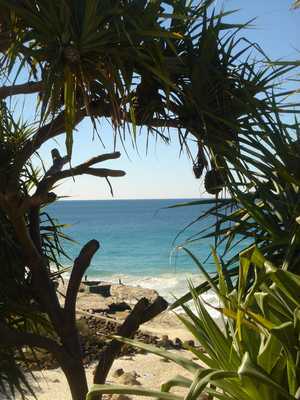 25km from the Gold coast domestic airport, you will locate the Surfers Paradise. This paradise is 100kilometers from Brisbane and it is accessible from Queensland and New South Wales. Using a bus or car link, you can travel to the popular Tweed heads and Robina for a variety of shopping centers. Group and private transport by the car hire providers will save you time spent waiting for the buses. At the Gold Coast domestic airport arrivals, you find reliable transport to help you shop, dine and visit around the airport and city destinations. What ground transport is available from the airport? Among the airport transfers to use are the bus connections, taxis and car rental operators. Enjoy riding in the local bus services to your location at affordable costs. For ultimate comfort, use the low cost car hire services to link to the north and south of Gold Coast. If you are travelling as a tourist for days, there are shuttles for your trip. Convenient travel on a 24 hours service will require the services of a car hire business. From the car hire operators, you can get a reliable driver or even self drive. This gives you unlimited travelling, and you enjoy door to door transportation. Most visitors prefer competent car hire professionals that offer 24 hour transportation. Parking your rental car in Gold Coast Airport can best be done in a garage. Its safer for you and your rental car. There might be the possibility to park your rental car in the outskirts of Gold Coast Airport and move around by public transportation which is not too expensive and will compensate for the parking fee you will need to pay if parking in the city center. Take in mind that many big cities have a city center only accessible for locals or delivery purposes. Most major car rental agents in Gold Coast Airport offer one way rentals. One-way rental is when you collect the car in one place and return the car in another location. In most cases the car rental agent will charge an extra fee if you wish to return the vehicle at a different location. In the terms and conditions will state if the one-way fee is included in the rental price. If the one-way charge is not included in the rental price, the one way charge needs to be paid on arrival directly to the car rental agent. Last month, the average car rental length at Gold Coast Airport was 4 days. The average rental car length at Gold Coast Airport is 6 days. The most booked rental car type currently at Gold Coast Airport is COMPACT cars. Last year, the most booked rental car type at Gold Coast Airport were COMPACT cars. How much does it cost to rent a car at Gold Coast Airport? Last month, the average car rental price was 92 USD. Last year, how much did it cost to rent a car at Gold Coast Airport? Last year, the average car rental price was 181 USD. What is the current average daily price to rent a at Gold Coast Airport? Last month, the average rental price was 23 USD per day. How much did it cost to rent a car at Gold Coast Airport over the past 12 months? Last Year, the average rental price was 31 USD per day. The car rental companies available at Gold Coast Airport are: Alamo, National, Enterprise, Abaa Car Rental. See below last 5 customer reviews. Our customers rated Gold Coast Car Rental with an average of 0.00 based on 0 ratings.